As your New Jersey business expands and you add new employees, you will need to consider adding benefits to your employment package. Along with salary, the types of benefits your company offers is a determining factor on what kind of employees you will be able to hire. However, if you don’t want to manage those employee benefits and deal with the responsibilities that come with them, you can hire a bookkeeper services company to do the work for you. There are three basic broad categories of employee benefits: benefits paid by the employer, benefits paid by the employee or voluntary coverage, and benefits paid by both the employer and employee. It is important when selecting what to include in your package that you determine who will be paying for which benefit. For instance, paid vacation is covered by the employer as is the case with other paid time off. Health insurance may be paid by the employer but it is common for employers to pay a portion and the employee to cover the rest by taking the premium out of their salary. Life insurance may be covered by the employer at a base amount with the employee paying for any additional coverage they want. Not all businesses offer every kind of benefit. Choosing the ones you will offer your staff depends on your budget and what is important to your employees. The next step will be finding a New Jersey benefits provider for your chosen services. You can hire a bookkeeper services company to manage this for you. They will often already have a company they work with or they can find the providers you need that will fit in your budget. Choosing which benefits you will provide is only the first step. You will then have to handle the administration of the benefits. This can be simple or complex, depending on what kind of benefits you are providing. For instance, when you offer paid vacation, someone will have to deduct any time used from the balance and keep track of how much is left for the employee. 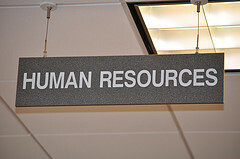 Your bookkeeper can do this in addition to other Human Resources tasks. They will also pay any insurance premiums that are covered by the employer. They will take it out of the employees’ paychecks if they are paying a portion of the cost. The employer’s cost of benefits is a deductible expense and a bookkeeping service will be able to add that into the tax return to lower your taxes due. Each year, you will have to give employees a chance to renew or opt out of certain benefits during open enrollment. Bookkeepers can send notifications to employees and to the employer to let them know when it is coming up. When employees want to add someone to their insurance or make changes to any of their benefits, a bookkeeper services company can handle these details so that you don’t have to. If you choose to offer a retirement plan, they will manage the payments to these accounts. They will also pay your portion if you choose to match the employee’s contribution. Ezcfo is a bookkeeper services company that handles all aspects of Human Resources, including assisting you with your benefits package. They can take care of the changes in payroll as a result of new benefits and can make the payments for insurance premiums. Managing benefits can become quite complicated if you add a lot of options. Small businesses often start with the basics such as paid time off and paid holidays, and health insurance. As the company grows, it can adjust the benefits package and add new items. It’s easy to become overwhelmed with all of the details, which is why it is advantageous to have bookkeeper services to handle the daily responsibilities of benefits management. NOTE: This article does not constitute legal advice. You should speak with your lawyer before making any decisions.